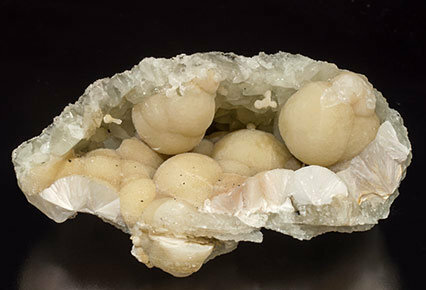 Spheroids of almost white Pectolite with radial sections. On matrix with small pale green crystals of a not identified species (probably Datolite). The sample is from the inventory of Charles Key and has a great quality for the species and the locality. Fanlike acicular-fibrous crystal groups. 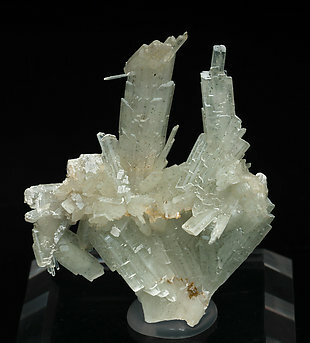 The color of these crystals varies between pure white blue and the creamy white. The locality and the specimen can be considered to be classics. 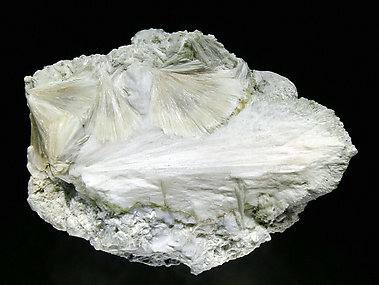 Fibrous aggregates of white acicular crystals with pearly luster and on matrix. The sample is from the Pierre Léo Montreuil collection, whose label we will send to the buyer. A very fine piece. 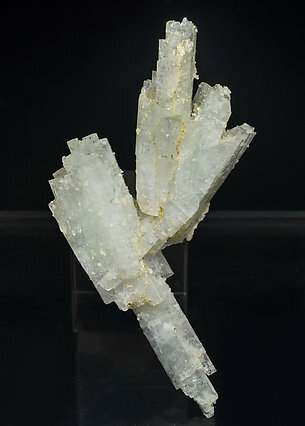 Very aerial group of crystals whose faces and edges are very well defined, with sharp terminations and forming parallel growths. They are translucent and have an intense pearly luster. Their color is the best known for the species. 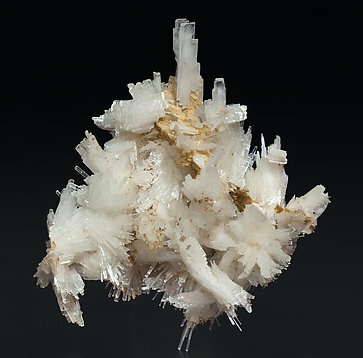 Double group of very sharp Pectolite crystals, all them doubly terminated and with very well defined faces and edges, a snowy white color, pearly luster and partially coated by Calcite and small Grossular aggregates. A fine Canadian classic, of great quality. 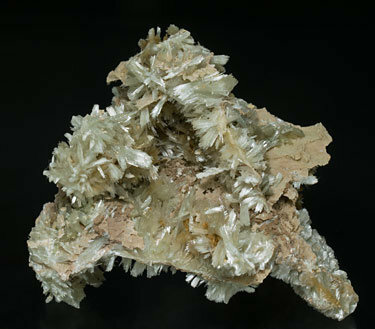 Groups of elongated and flattened Pectolite crystals, some of them doubly terminated. They have a snowy white color, pearly luster and have fine coatings of Grossular microcrystals. Of a great quality for the species.